This book is a must read for anyone who wants to see the big picture of what is really going on today, both politically and geo-politically, in regards to our presidential election, terrorism, and world problems in general. I mention this book because it taught me open mindedness regarding non-traditional approaches to markets much as reading Thinking On The Margin back in 1984 by Arthur Zeikel taught me to think about the consequences in the future that result from what is occurring today. What may occur in these windows is tops, bottoms, acceleration points, and as you can read in his posting, could be a pivot into the next full moon or eclipse. W. D. Gann wrote a book in the last century called, The Tunnel Through The Air; Or Looking Back From 1940. In it, he explains how he uses the planets and the stars and their cycles to predict the movement of stocks, bonds, and commodities. 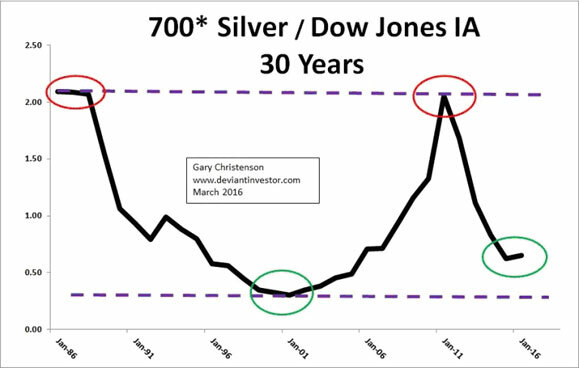 Our expert associate and Gann swing trader, Jeff Cooper, (jeffreycooper@earthlink.net) has shared some interesting observations on this current dangerous time zone using Gann theory. 1929 was 87 years ago. 1987 was 29 years ago. On Jeff’s Square of Nine Wheel, 87 and 29 align with September 9th when volatility came out of hibernation in all the markets. And counting from the Gann new year, we can project a potential turning date for the all markets at or around October 2nd. One fundamental event that could well usher in extreme price movements in stocks, bonds, commodities, and currencies is the official addition of the Chinese yuan into the IMF basket of currencies which will reduce the impact of the US Dollar on all international trade. This event took place on September 30th and could very well mark the beginning of the end for the US Dollar as THE unit of international trade. My belief here is that precious metals have digested their gains of the previous months from January until August and the sentiment of futures traders suggests that the move upside could be explosive. Just as they did this past April, speculators are dumping their gold and silver holdings now prior to the Fed rates meeting, and they missed the spectacular run up of May to August and will more than likely miss this next spectacular rally as well. In fact as tracked by the CQG, Inc., futures trader sentiment on gold has dropped to only 11% bulls, the lowest reading since we hit 8% bulls this past January, which marked the birth of this new bull. 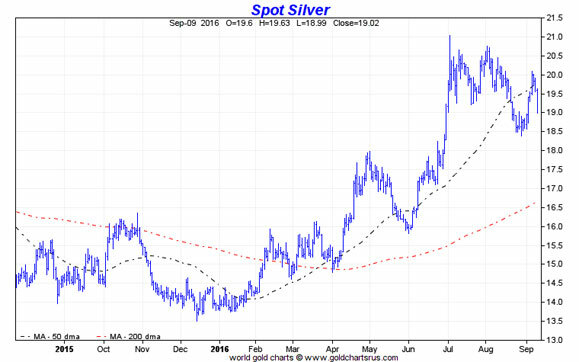 We are extremely bullish on all precious metals and in particular, physical silver and the junior mining shares.